Many, if not most, churches have Ushers. We may have different views about what they do, how they do it and why. 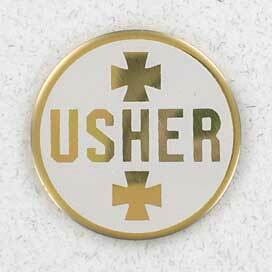 And, we sometimes ponder, do Ushers usher or do they ush? * Whatever the answer, in this episode of Chuck Knows Church, we discover more than we bargain for! While the Bible doesn’t mention the word usher, the word doorkeeper has a similar connotation for ushers are also doorkeepers. In 1 Chronicles 23:5, King David assigned four thousand doorkeepers to the temple Solomon would build. Psalm 84:10 says “Better is one day in your house than a thousand elsewhere. I would rather be a doorkeeper in the house of my God than live in the tents of wickedness.” And, 2 Kings 22:4　”Go up to Hilkiah the high priest and have him get ready the money that has been brought into the temple of the Lord, which the doorkeepers have collected from the people.” So, ushering has a long and varied history, even before Christ came. Stand tall ushers and usher well. You have a reputation to keep! This entry was posted in Service, Worship and tagged Christ, Doorkeeper, Usher. Bookmark the permalink.